The G.A.R. was founded nationally in April, 1866, by Benjamin Stephenson, in Decatur, IL, as a Veterans Fraternal organization, to benefit and work for surviving Civil War Union Soldiers, and to honor those who fell in battle. They represented Soldiers, Sailors, Marines, and U.S. Cutter Revenue Servicemen. 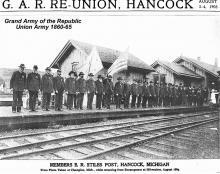 At the G.A.R.s peak, in the early 1890s, their ranks totaled some 400,000 men. 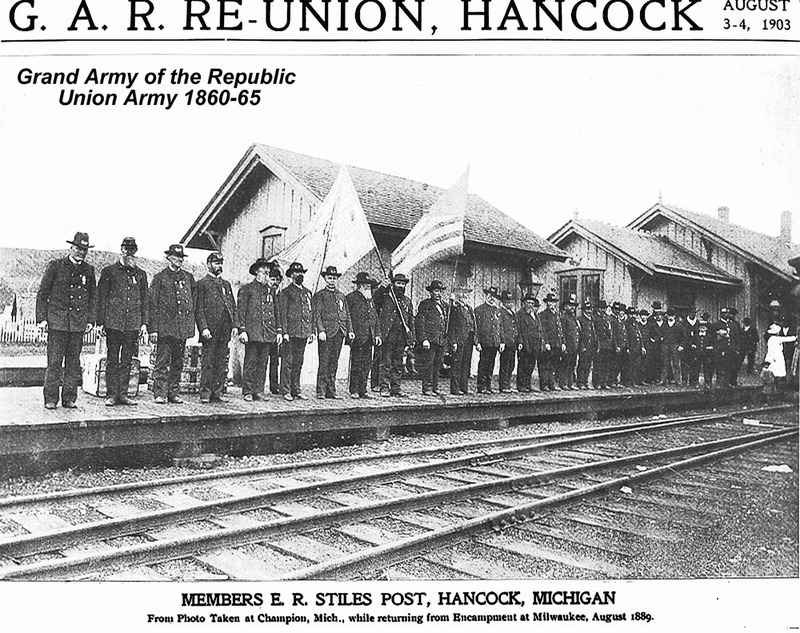 Post No.176 renamed itself the E.R.Stiles, Post 176, shortly after forming, in honor of a Hancock man killed in action during the Civil War. It continued to meet and function into the 1900s, meeting for instance in 1930 on the second Saturday of the month at the Scott Building, in Hancock . Commander was W.Mason, Quartermaster was John Ralph, and J.W.Wyckoff was Post Adjutant. It is not known when the Hancock Post disbanded, the National Charter was dissolved in 1956, following the death of the last Civil War survivor.